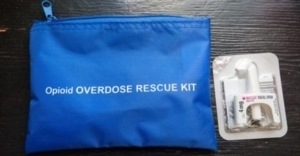 Wed, March 27, 2019 5:00 P.M.
With Philadelphia, and the nation, in the grips of an opioid overdose crisis, the Philadelphia Department of Public Health is now offering FREE training on overdose awareness and overdose reversal using naloxone, or Narcan. Trainings will be held at the Free Library of Philadelphia. To register or address any questions, please contact overdose.prevention@phila.gov.